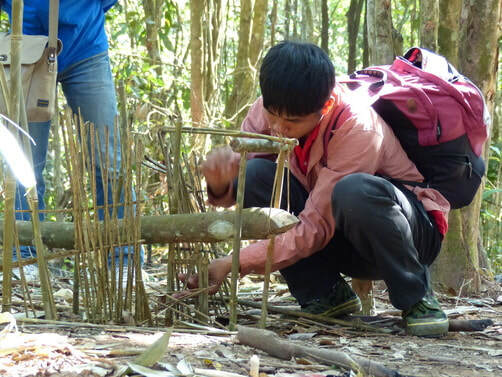 2 days trekking tour and bamboo bush crafting in the jungle - Trekking in Luang Namtha, Laos - Hiking, Kayaking, Cycling, Village Tours - Discovering Laos! At 9.00am we meet at the Discovering Laos office and take a tuk-tuk ride to the start of the trail. On route we stop off briefly at the local Laos market for supplies. From the start of the hike we find ourselves immediately immersed in lush tropical forest, as the trail leads us deeper into the jungle. We continue hiking for 2-3 hours over hills and valleys shaded from the sun by the magnificent jungle canopy. We continue on the trail through a hugely impressive primary forest populated with mighty mahogany trees, bamboo groves and wild banana plants. 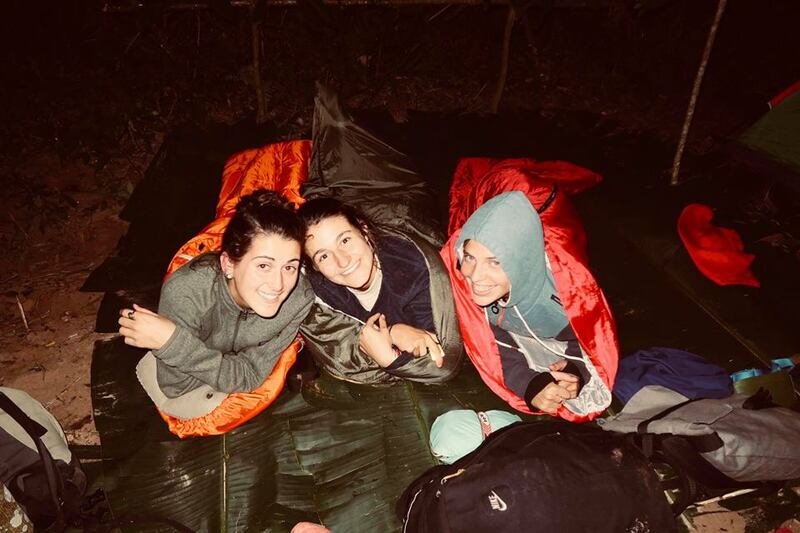 After finding a suitable campsite our guides will teach you how to construct a banana shelter for the night, and how to select and find the right building materials from the forest. 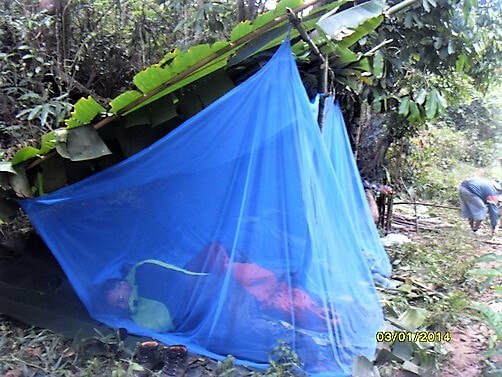 Alternatively, we can provide tents for comfort. Assist the guide to prepare and cook dinner, enjoy and relax by the campfire, and later fall asleep to the enchanting sounds of the jungle. Wake up in the heart of the jungle to gentle birdsong and a tasty breakfast laid on by our ever-attentive guides. We start walking on the trail at around 10.00am with a pleasant hike that follows the Namha river, lined with giant trees on imposing cliffs. 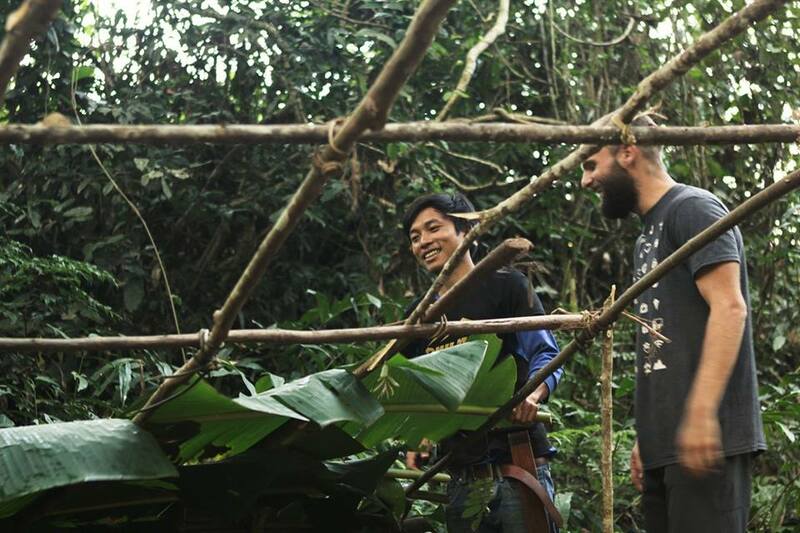 We continue on through dense tropical forests occasionally revealing almost hidden tribal villages, offering the chance to meet Khmu and Lantan people. and prepare your own food using the resources of jungle. Back on the trail we continue our hike through ancient forests filled with life. 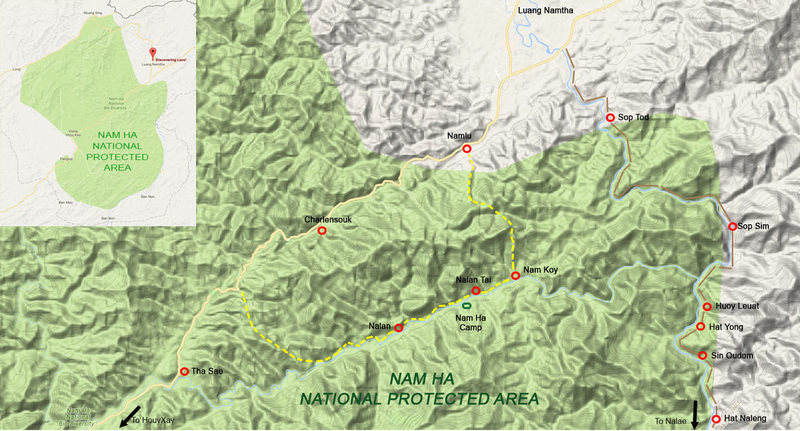 Before long we begin a steady descent on a hillside with jaw-dropping views across the valleys of the Namha NPA. Finally, at around 4-5.00pm, we reach the picturesque and timeless Namlu village of the Khmu tribe, and the end of the trek. After taking time to explore the village and meet the locals we take a tuk-tuk ride back to the Discovering Laos office in Luang Namtha. Note: Extra warm clothes for the evening and night is advisable during the winter, between Oct-March.